I have 2 amps and 2 guitars and 2 basses, but it's not enough. I must, must have another amp, a different one. There is this builder, more famous than other builders I have dealt with, and I got up the nerve to email him about building me a certain kind of amp that he is not known for building. 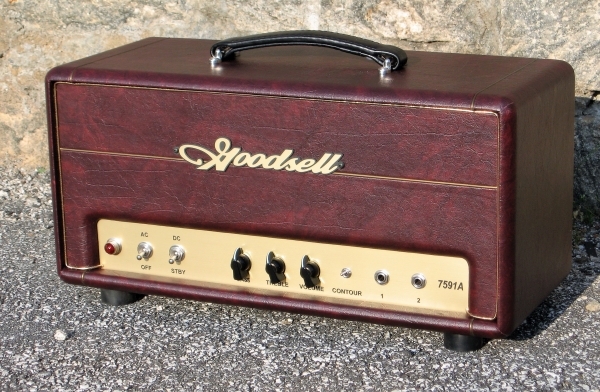 In fact no one is known for building this kind of amp. Most builders specialize in one or more of the classic vintage amps made by Fender, Marshall or Vox, with a different mix of features like "if only Fender had put a 40 watt power amp into a Princeton Reverb" or the very common mix of 5F6-A/JTM 45 FenderMarshall. So I email the guy and ask him could he possibly build me me an amp based on 7591a power tubes and a Baxandall tone stack and I get this chatty email back saying oh do you know so-and-so, he just asked me about something like that blah blah etc. and asked me for more details and I say it's kind of like an Ampeg Gemini and he goes wow that's really out there, I say should it be cathode biased or what and we can't use the old phase inverter. We go back and forth via emails for a couple of weeks ironing out the details and then I get "could you give me a call?" so I call him after 5 o'clock and "sorry, I didn't realize the time" and we are on the phone talking about ultralinear output transformers. This guy is totally into this project and not only that, what he is charging me is scandalously low. I know boutique prices, and I pay them when it's worth it. To make a short story less long, the amp will be ready soon. And if this goes well, I know exactly what Amp IV will be. Amp III ships on Monday. It has ended up being a bit of a mashup of Ampeg, Fisher and Dynaco. What about Amp IV, then? I'm glad I asked. The 2 greatest amps I ever owned were polar opposites. 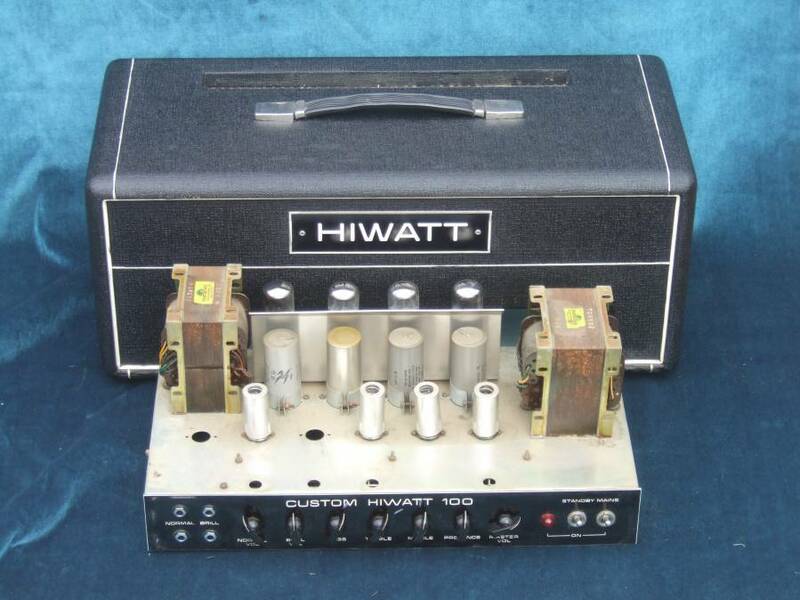 In the early '70s I bought a Hiwatt, inspired by Pete Townshend. I wasn't being very practical, I had no real use for such a monster. 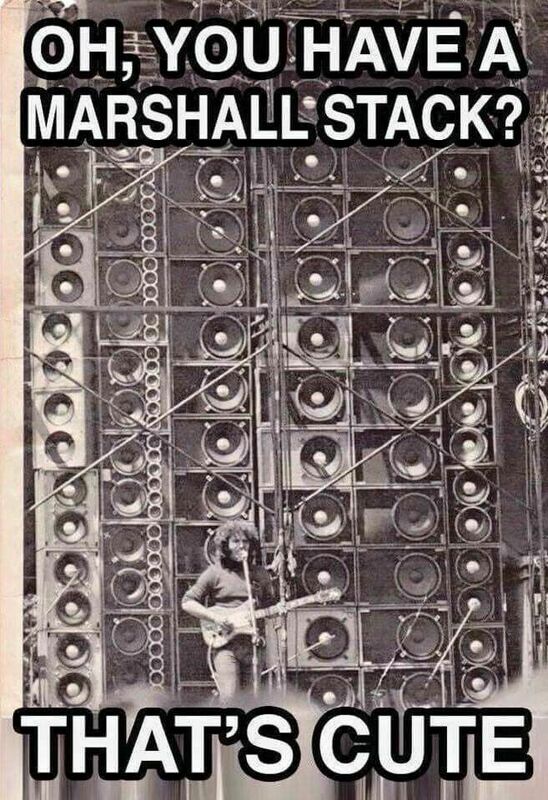 The amp was 100 watt fixed bias with huge transformers. The OTs were rated at full power from 10hz to 70khz. One sample tested by a Hiwatt guru was -3db from 5hz to 120khz. That's one pole, one I don't need to revisit since the amps I have and the one I'll get in a few days cover the hifi side pretty well at more useable power levels for a guy that plays in his apartment and doesn't want to disturb the neighbors. The other pole was my old Vox Cambridge Reverb, which produced about 12 watts, a combo with a single 10" speaker. The circuit was a cathode biased zero feedback type running 2 EL84s, pretty typical of the old Vox circuits. These amps are extremely harmonic, more than comparable Fenders and Ampegs of the day that used negative feedback around the output stage. The "Vox sound" is largely the relatively high harmonic distortion even at low power levels. All my amps so far are low distortion all purpose amps. You could use them with any instrument, even a 5 string bass provided you used the appropriate cab, which all of my cabs are. This little Voxoid clone, this possible Amp IV would be purely for guitar use. And it would have a very distinctive sound, one I can't approximate with the other ones. Now i can see why i never made it at GuitarCenter, lol ... but, that's very impressive talk there, buddy , I must say, I "wante " to be an Eric Johnson player+tech, but, aye, it just never happened. After the Marshall half-stack, I just couldn't lug that stuff around. I was happy to get this little Crate head from a friend... ahhh, to have glorious old fashioned tone beyond tone. I have not yet figured out Vox. Is it that their "Presence" is in "reverse"? (takes away hi-end instead of giving it) And yea, lol, that IS all I've got (if you were asking, haha). The legend is some of the tone controls were wired wrong so the bass was backwards. 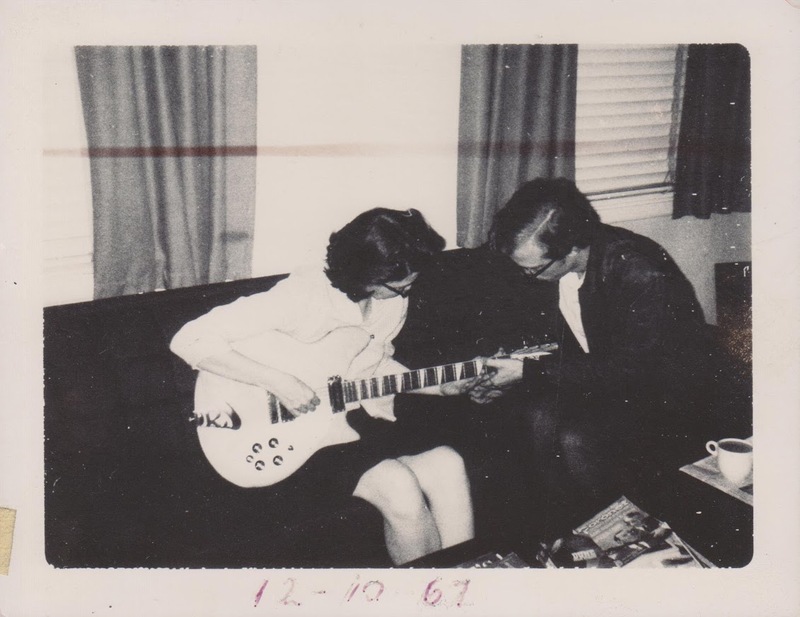 I played an AC30 like that. It's strange because you know it's backwards but still "turn up" the bass clockwise and it goes down and you despair and die. A presence control is a high boost in the output stage feedback loop. Vox don't got a feedback loop, it has a "tone cut" knob which is a pot connected between the power tubes which cancels some high frequencies. I use a reverb/tremolo pedal, nothing else for now. And yes, hifi ampage through a JBL is the recipe for Jerry tone. I saw the Dead at Nassau Coliseum in '74, the Year of the Wall. That was around the time the Mahavishnu/Mothers of Invention Battle of the Bands was staged there. The following year the Islanders won the Stanley Cup. My mother was an Islanders fan, though inclined more to the Who and Pink Floyd on the music side. It's heeeeere. First thing is the 5 string bass torture test, which it passed with flying colors, both in UL and pentode mode. It's no wonder with the OT twice the size of my little steampunker, which let's face it, struggles below 40hz. Tomorrow I'll do guitar testing. And I hope you enjoy your new amp. 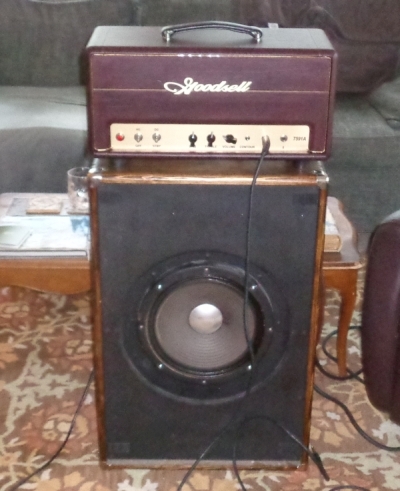 As wonderful as my tone rig cab with its archaeo-hifi speaker has sounded before, it's stunning now, an Ampegosaurus. I don't think it would be your cup of tea. I specialize in what at first seems to be random nonsense which gradually reveals itself to be profoundly random nonsense. I just want to hear these TONES you're gushing about... I don't care about the... the... music!! noodle away!! I love noodles!! So, how was it with your guitar? Do tell. It sounds great, but I'm running into problems. The James tone stack is almost nonfunctional and overall gain is too low and it hums too much when turned up. IMO it's likely that all of these are related to a single cause. When I was working with the builder on the design he suggested a different kind of driver/inverter scheme based on his research into what would work, but not having an old Gemini to compare it to (and never having made an amp like this) he must have thought he was giving me what I wanted. Since I'm a red blooded East Coast American of great age Ampegs are in my blood. The tones stacks work really well, and this is not that. I think it's the driver stage. I subbed out the preamp, driver and inverter tubes, one at a time, with known good replacements and there was no appreciable change. I emailed the builder to see what he recommends. I can't take it to a local tech yet, they won't want to touch it. So, now I wait for the reply. That's a pity. But I'm sure you'll track the cause down. This is my Starfire bass, which tends to overload recording devices. The amp stayed clean. I'll have to learn how to use the limiter. That's a natural and almost earthy sounding bass you've got there. At least, that's how it sounds via the little Cambridge system I keep in my office under my desk. Maybe I'll do some guitar later. First I think I'll try to understand more about how this little Tascam recorder works, or maybe get an external mike that can do justice to the bass, though I think it's not bad. Also I need to experiment with amp settings to reduce the boominess some. Well, if you do record and upload some of the amp with the guitar I'll be interested in hearing it. Just buy a Bogner Uberschall and be done with it! 150 watts of pure tube terror.